Episode 128: Jennifer Egan, A Visit From the Goon Squad (w/ guest Josh Fruhlinger) | Book Fight! We’re joined this week by special guest Josh Fruhlinger, long-time proprietor of the website The Comics Curmudgeon and author of the recent novel The Enthusiast. 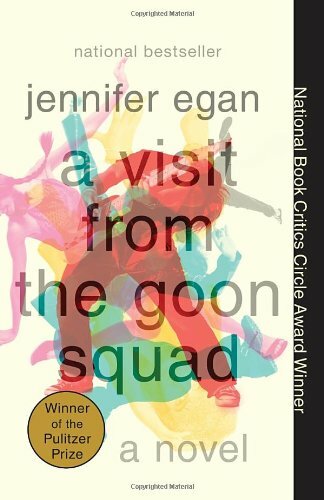 As is our custom, we let our guest pick the book, and Josh chose Jennifer Egan’s Pulitzer Prize-winning A Visit From the Goon Squad. We talk about the book’s novel-in-stories structure, and how that compares to the once-ubiquitous linked story collection. We also talk about the book’s famous Power Point chapter, and Egan’s story-in-tweets, published by The New Yorker. In the second half of the show, we talk to Josh about his book, his website, his love of trains, which podcasts Pluggers might listen to, and Mary Worth’s love life. As always, you can stream the show right here on our site, or you can visit us in the iTunes store, or wherever you get your podcasts, to subscribe (for free!) and never miss another episode.